Clean drinking water is an important part of your pet’s daily nutrition requirements. Your pet needs approximately one ounce of water per pound of body weight a day to stay healthy. At Heyrex, they invented the TORUS™ Water Bowl so your pet can have access to cool, clean water all day and without the mess of a conventional water bowl. TORUS is a water bowl and thermos all in one. Water is stored inside the walls of the bowl ensuring there is an ample supply of clean, filtered water available for your pet throughout the day. As TORUS auto-replenishes water in the bowl, the level of water always remains high enough to allow for easy drinking but low enough to minimize spills. You just fill the reservoir from the top opening with cool water. Set the cap and turn it to DROPLET/WAVE position and the reservoir will dispense new water each time your pet takes a drink. The reservoir holds approximately 2 quarts of water, dispensing approximately 300 milliliters at a time. The TORUS bowl is great for road trips, camping and other outdoor adventures. While on the road, you can turn off the self-dispensing system by locking the reservoir. TORUS also is non-slip as it has rubber pads to keep it stable on a variety of surfaces. 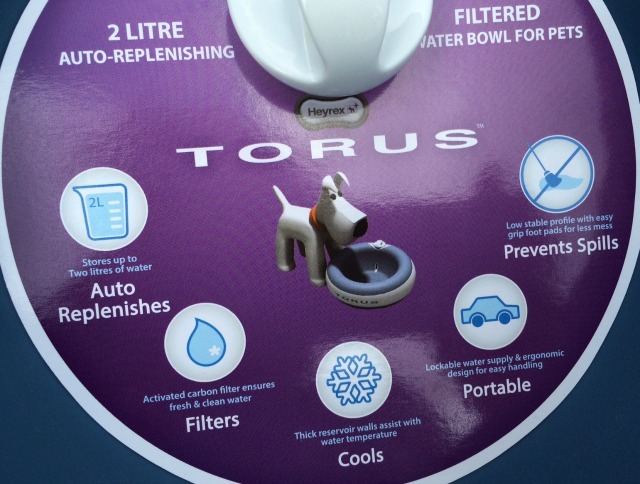 And TORUS keeps your pet’s water cooler for longer which is great for camping and outdoor adventures in the warmer months. 1. No Mess. TORUS has a low profile design and rubber pads on the bottom to minimize spills. 2. Filtered Water. TORUS uses activated carbon filters to remove impurities from water. 3. Auto-Refills. No more worrying about filling your pet’s bowl so often. 4. Travel Friendly. TORUS is lightweight and its locking reservoir prevents spills during travel. 5. Now available in 2 sizes. TORUS now comes in both the original, 2 liter, size as well as the smaller, 1 liter, size. 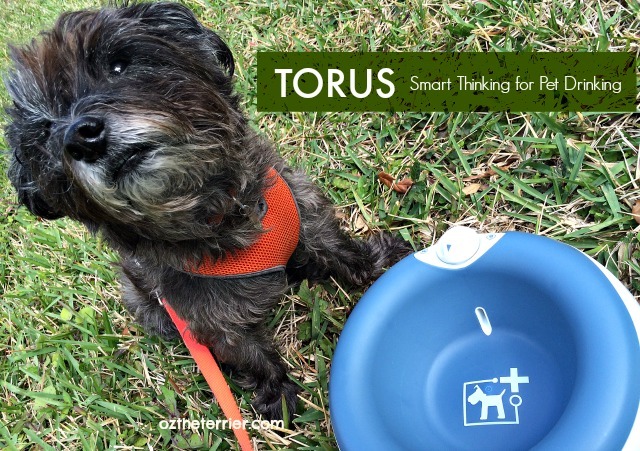 Have you tried the TORUS Water Bowl yet?